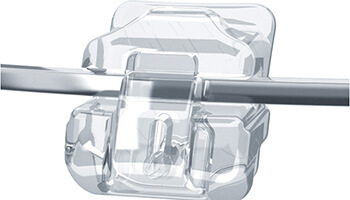 Thanks to clear, ceramic braces, patients have a great aesthetic alternative to metal braces. Clear braces use brackets and wires, the way metal braces do, however the brackets are made up of clear ceramic so that they blend in with your teeth. As a result, patients with clear braces don't have to be embarrassed of their teeth. Clear braces, are less noticeable than traditional braces because they blend with your natural tooth color. They are not invisible. While the clear braces themselves do not stain, the clear ties that hold in the wire can stain from pigmented foods and drink. These ties get changed out at your appointments. While getting treated with ceramic, clear braces, we recommend drinking coffee through a straw and avoiding foods that may stain your ties. Movement of your teeth with clear braces may be slower in some instances. 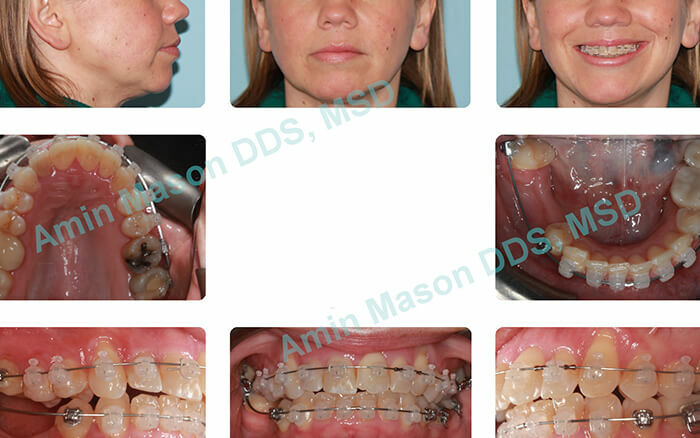 During your consultation with Dr. Mason, you can get more information regarding clear braces to see if they are a good option for you. 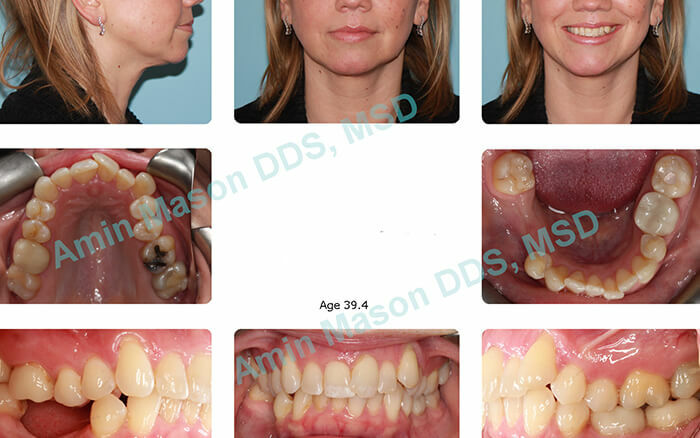 Adult patient with upper/lower crowding, missing multiple teeth, Patient planned to get implants in the lower arch. 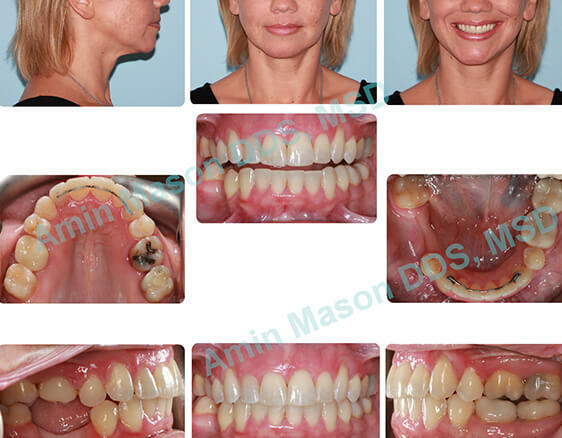 Patient was treated with Damon Clear system.